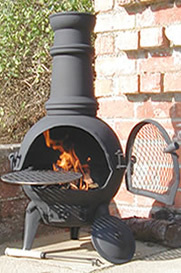 Buy the Small Palma Cast iron Chiminea online: Largest range of Cast iron Chimineas UK online. Our Small Palma cast iron chimineas are great fun. 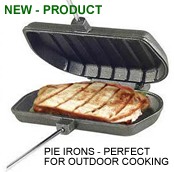 Featuring a matching raincap, fire guard door, chimney spark arrestor and a removable swivel out BBQ grill (10" diameter). Finished in a heat resistant black paint . 85cms Tall / 40 cms Diameter, Utility Tool as pictured also available below. Our Deluxe Medium cover is suitable for the Phoenix, Vienna, Grapevine. Alacante, and Small Palma chimneas. 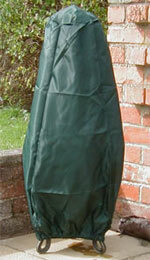 Water resistant polyester fitted chiminea cover with elasticated bottom. UV stabilized.